Author: Todd Temple & Kim Twitchell Publisher: Tyndale House Year: 2000 Descriptio.. Author: Tom Allen Publisher: Horizon Year: 1998 Description: This Closer Look compare.. Author: Bernard Cottret Publisher: Eerdmans Year: 2000 Description: A major new autho.. Author: Sam Wellman Publisher: Barbour and Company Year: 1995 Description: The plight.. Author: Geoffrey Thomas Publisher: The Banner of Truth Year: 2002 Description: Ernest.. Author: Bob Smietana Publisher: Zondervan Year: 2006 Description: The bestseller Shad.. 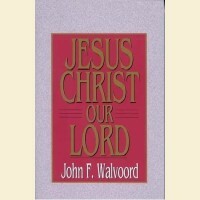 Author: John F Walvoord Publisher: Moody Year: 1969 Description: The apostle John sai.. Author: W Phillip Keller Publisher: Kregel Publications Year: 1983 Description: An ex.. Author: J. Sidlow Baxter Publisher: Kregel Year: 1992 Description: A treasure-house o.. Author: Catherine Marshall Publisher: Chosen Year: 1980 Description: Catherine's cent.. Author: James Montgomery Boice Publisher: Kregel Year: 1982/ 1998 edition Description:.. Author: W Phillip Keller Publisher: Kregel Publications Year: 1997 Description: A cla.. Author: John MacArthur Publisher: W Publishing Year: 2002 Description: Contrary to po..